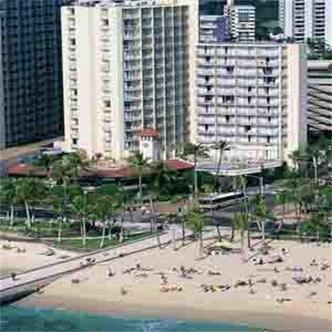 Park shore waikiki offers affordable lodging in an unrivalred location. Located on the corner of kalakaua avenue and kapahulu avenue this hotel is across the street from waikiki beach and kapiolani park. Most of the rooms have spectacular ocean andor diamond head views and offer the following complimentary amenities wifi in the lobby daily local newspaper minirefrigerator and coffeemaker. Additional services and features include tour desks two restaurants a starbucks coffee retail shops and a surfing school. Enjoy hawaiis perfect sunsets from the outdoor ocean view pool and sun deck.